John Key is engaging in a bout of populist moralising, describing killing whales as ‘abhorrent’ in response to South Korea’s indication that they may resume whaling. The hypocrisy is staggering - this same week National has announced further concessions to New Zealand’s dirty and polluting farming industry. If the concept of killing whales is ‘abhorrent’, what about farming practices that contribute to the loss of ecosystems that threaten endangered species in New Zealand? Since it is largely Pakeha capitalists in New Zealand that reap the profits farming they do not criticise. Furthermore, Japan and now Korea at least have the courtesy to try and hide their commercial whaling operations behind the guise of ‘scientific research’. There are no damning condemnations from New Zealand of the two northern European countries, Norway and Iceland, who flaunt the international treaty and issue their own quotas for commercial whaling. It shouldn’t have to be said that these countries are populated almost entirely by white people – not Asians – so they don’t get as much criticism. Their European culture is not used as an excuse to demonise them. While it is true that many species of whale are under threat and the population this does not mean however that killing and eating of whales is some kind of eternal sin. There are many indigenous peoples around the world that have to go begging for quotas to continue traditional hunting. Matiu Rei, chairman of Te Ohu Kaimoana, which advocates for Maori fisheries rights, is quoted in the New Zealand Herald as saying "It is ironic that countries that have grossly exploited whales for uses other than food and utensils are now imposing their newly acquired 'values' on cultures that continue to suffer the effects and symptoms of colonial exploitation." He goes on to say that indigenous peoples were reduced to "groups that must seek permission to continue these traditions - from those whose tastes have changed with the wind - [it] is quite simply degrading”. Finally he identifies the International Whaling Commission itself as a tool of colonialism "This commission is already a tool for limiting indigenous traditions through its quotas. Please ... let them [indigenous peoples] continue to practice their traditions and exercise their customary rights." It is clear to me John Key’s comment that the “concept of killing whales [is] abhorrent” is deeply racist. The politics of the anti-whaling campaigns in New Zealand - in particular Sea Shepherd’s recent ‘OperationWaltzing Matilda’ draw on long-standing anti-Japanese histories in Australasia. Are socialists opposed to eating whale meat? While this seems like a strange question at first but it is an important one. Humans have been hunting and killing whales all over the world for ages. There is nothing unnatural or abhorrent about it. The racist criticism of other cultures’ diets is common in New Zealand. Whether it is sensationalized media coverage of a Pacific Islander eating a dog, or Maori making a hangi, the John Keys of the world will find a way to hate it. Whale meat is no different. Singling out Japanese and Korean culture as being disgusting for eating whale meat is just as racist as demonising Pacific cultures for eating dog meat or Maori culture for eating food ‘cooked in the ground’. Eating pigs, sheep, and cows – the mainstay of New Zealand agriculture – is not fundamentally different to eating dog, horse, or whale. The environmental questions of sustainability and endangered species are quite unconnected to the question of culture. There have been calls, including from within the Green Party, to use the Navy to stop Japanese whaling. This imperialist stance must be exposed for the nonsense it is. The New Zealand military has been involved in wars for resources for years, starting with stealing Maori land in the Land Wars between 1845 and 1872. The support for wars in the Middle East over oil, and the sending of troops to Pacific countries - like propping up the Tongan monarchy - are the latest incarnation of its colonial and imperial legacy. The military has been used to gain and protect sources of cheap labour, forestry, minerals, and fisheries for New Zealand capitalists for the better part of two centuries. New Zealand (and Australian and American) capitalists have been competing with Japan over these resources in the South Pacific for a long time. In reality this was the cause of the military conflict over the Pacific in WWII. Before WWII Japan and Germany had large whaling fleets, however they were hunting for oil not meat. This was because most of the world’s oil reserves were controlled by the United States, France, and England. It took Japan’s invasion of Manchuria and Germany’s control over Romania before whaling for oil became less important. These historic land grabs for oil are similar to the invasion and occupation of Afghanistan and Iraq. Under capitalism whales are an economic resource like tuna, oil, beef, iron ore, or timber. These so-called resources are exploited for profit. Blue Fin Tuna are being hunted into extinction by New Zealand capitalists, but if another country threatened to send its Navy to stop it most people would be horrified. We must reject the calls for military intervention to ‘protect’ whales like we must reject military intervention to secure oil reserves (or Tuna fish). How can we really save the whales? 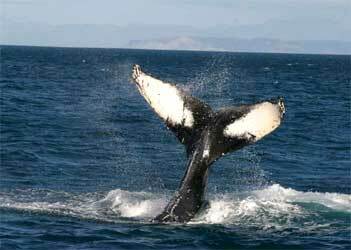 Many species of whale are in decline, some are endangered, some are extinct. This is mainly because they have been over-hunted. However we must identify two types of whaling. There is the sustainable whaling, for food and tools, which has been carried out by indigenous peoples for centuries. We should have no problem with this even if it uses modern industrial methods like speed boats and harpoon guns. 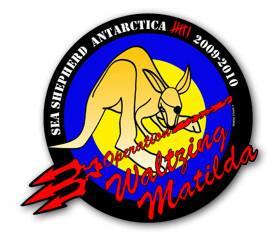 However the type of whaling in dispute is ‘commercial whaling’ – the hunting of whales for profit. The thirst for oil capitalism has produced is why most of New Zealand’s whales were killed in the 1800s, for their blubber. It was used to heat homes and provide light etc. It was a highly profitable business. This is the reason why we should worry about Iceland’s, Norway’s, Japan’s, and now Korea’s whaling fleets. They aren’t out to hunt down meat, blubber, or bone – they are out to hunt down profits. They will hunt them into extinction for profits. The worlds whale populations won’t be safe until we live in a society that puts the needs of people and the planet before profits. 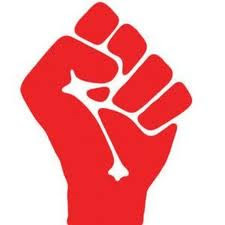 This struggle, the struggle for socialism, must be a world wide struggle against the capitalist system in all countries from Korea to New Zealand. It is the working class – not the military – which we must look too as the social force that can change society for the better. If we want to save the whales, or the rainforests, fisheries, and rivers we must strike down the capitalist system that has turned them all (and us) into commodities to be exploited for profit.